The journal BIOCHIMIE replaced in 1971 the Bulletin de la Société de Chimie Biologique, that was founded in 1914 as the journal of the SFBBM. In over 40 years, the journal has published around 5500 original articles or reviews, and is amongst the best known and respected in the field. BIOCHIMIE and its Open Access companion journal BIOCHIMIE Open are published in English by Elsevier B.V.
BIOCHIMIE publishes original work, review articles and mini-reviews in broad areas of biology, including biochemistry, enzymology, molecular and cell biology, metabolic regulation, genetics, immunology, microbiology, structural biology, genomics, proteomics, and molecular mechanisms of disease. The 5-year impact factor is 3.124. The journal also publishes regularly special issues on subjects of particular interest. All articles are subject to peer review, and must satisfy the criteria of originality, scientific integrity, and general interest to a wide audience. Once accepted, articles become accessible via the Elsevier website ScienceDirect within 7-10 days, and abstracts are published rapidly on PubMed. Authors of manuscripts accepted by BIOCHIMIE may choose to publish on Open Access. 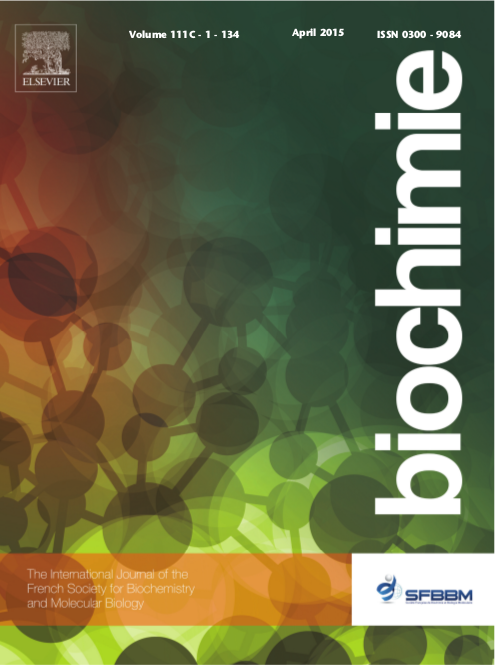 Submissions found to be of good scientific quality but that do not entirely satisfy the requirements of BIOCHIMIE may be eligible for a transfer service towards BIOCHIMIE Open, without need for resubmission.